Looking for a classic winter activity with some extra holiday magic? 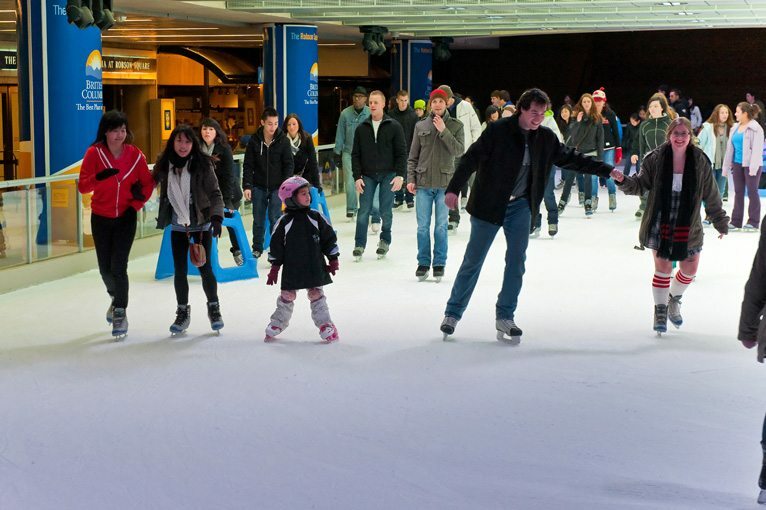 Lace up those skates and zip around an icy winter wonderland with your friends and family in tow! PS: National Skating Day is December 10th so there’s free admission at many rinks! Think skate rentals, hot chocolate and more! 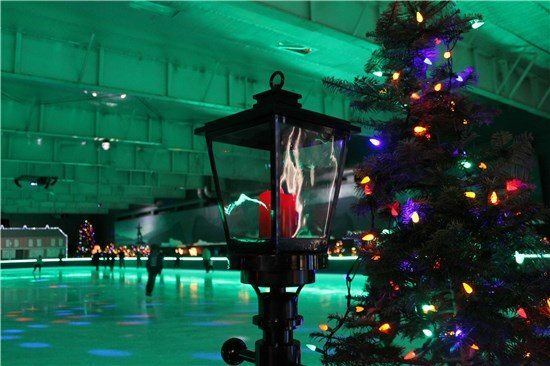 Dust off your skates (or rent them there) and take to this gleaming curving outdoor rink with two spectacular light installations, a giant Narwhal and shimmering Christmas tree. Of course once you’re there, you’ll want to check out the rest of the sprawling ode to Canadian winter exhibition. It’s one of Vancouver’s best winter traditions and the perfect way to celebrate the season with your loved ones! Robson Square outdoor skating rink is open from the beginning of December, 2018 until the end of February, 2019 (winter temperatures permitting). Skate/helmet rentals are cash only, but admission and holiday magic are free! Nothing beats skating outdoors on an 8,000 square foot mountaintop skating pond, surrounded by snow-capped trees on the top of Grouse Mountain. Meet Santa’s reindeer, vote for your favourite gingerbread house, and peek inside the Elf Headquarters before visiting St. Nick himself! Open now until early Spring (be sure to check daily weather conditions). >> Top Holiday Light Displays! Sparkling Christmas lights, live Christmas trees, and a Dickens Village make the Winterfest Holiday Rink a special holiday experience. Runs until New Year’s Day at Canlan Ice Sports Burnaby 8 Rinks. Top places to see holiday lights! 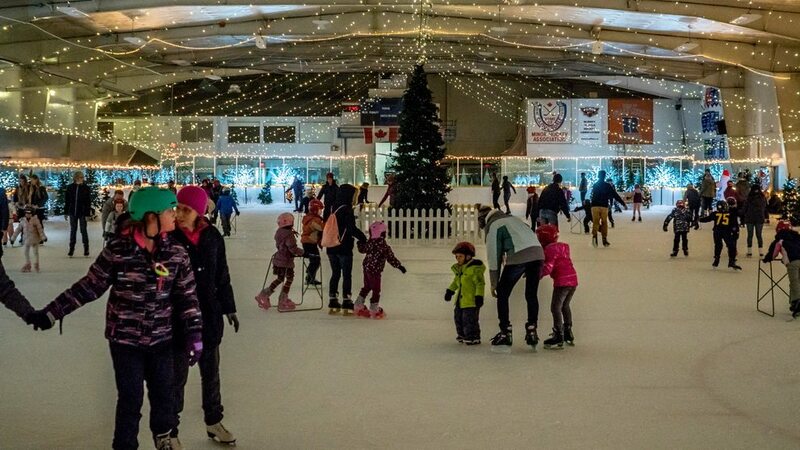 This annual free community skate at the Kerrisdale Arena is part of the Christmas in Kerrisdale December events. Show off your moves while sporting your favourite tacky Christmas sweater! Enjoy face painting, reindeer games, and even a visit from Santa and his friends! This one day event takes place at Bill Copeland Sports Centre, Burnaby. Don’t miss out! Skate and helmet rentals are available at each facility, but bring your own gloves, waterproof pants, and a cozy coat for little ones. For extra fun on Christmas Day, several ice rinks across the city offer public skates for families, including Hillcrest, Kitsilano, Trout Lake, and West End Community Centre.